The desert is one of the last places you want your Audi to break down so if your vehicle is giving you grief, bring it to the Audi Las Vegas service center. 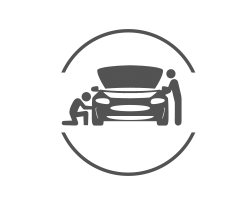 Our qualified, knowledgeable technicians will patch your vehicle up in no time. Audi Las Vegas is here to serve the greater area as well! Whether you live in Enterprise, Spring Valley, or Henderson, we're here to give you and your Audi only the finest care and service. 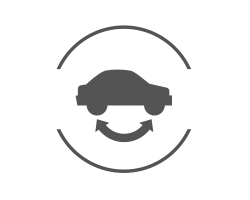 Does Audi Las Vegas offer the best Audi services near me? Absolutely! You won't find a more dedicated and expert team to work on your vehicle anywhere else. 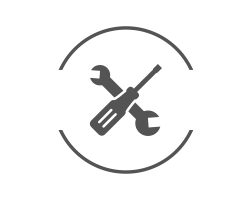 From scheduled maintenance to major repairs, know that we can help you with whatever issues may be going on with your Audi. Rest easy knowing that your vehicle is being repaired with the latest specialized tools and software. Our diagnostic equipment will determine everything that's wrong with your Audi and supply a detailed report for you and our technicians. What's more is that if you live in the greater Las Vegas area and continue coming to our location for repairs, we will keep a detailed record of all your diagnostics reports and repairs. Doing so will allow us to predict potential problems that may occur in the future and ensure that your vehicle stays healthy and running for as long as possible. Does Audi Las Vegas offer standard maintenance services and upkeep? You bet! If you just need a standard oil change, tire rotation, or brake replacement, our team is more than happy to take care of it for you. We understand how important it is to let only the most qualified professionals work on your car-even if it's just routine maintenance. While it isn't required that you make an appointment, we highly recommend that you do, especially on weekends. You can schedule an appointment online or give us a call at (888) 818-9981. We are conveniently and centrally located at 6275 W Sahara Ave, Las Vegas, NV 89146. Our Audi service hours are Monday through Friday 7:00 AM to 7:00 PM and Saturday 8:00 AM to 6:00 PM. We are closed on Sunday. Changing the oil in your Audi is a necessary step in maintaining your engine's reliability and performance. Performing an oil change is the easiest way to maintain the long-term health of your vehicle. The brake pads on your Audi will wear out over time, so replacing them is a necessity. Brake repair should be part of your regular maintenance schedule so your vehicle is always able to stop effectively. You need to rotate the tires on your Audi to maintain even wear from front-to-back and side-to-side. Having your tires rotated at Audi Las Vegas on a regular basis will ensure they last as long as possible.